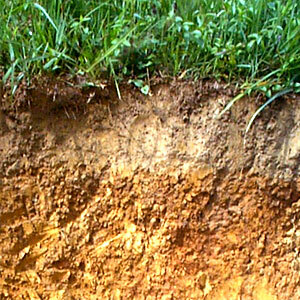 The soil’s capacity to make available varying quantities of water, depending on texture, structure, depth of soil profile or rooting zone, will affect irrigation frequency and total application amount. A growing plant will require varying quantities of water at different stages of plant growth. The water requirement commences at the time of seeding and will increase from emergence time. It peaks during the reproductive stage of growth and then gradually diminishes as the harvesting period nears. Plants are going to be the most vulnerable to water and stress generally in the early reproductive stages of plant growth. This might be identified as the flowering and the first stages of the fruit set. On corn, this would commence with the tassle and continue on through the silking and the soft dough stages. Grain sorghum’s critical period exists during the boot, head extension, flowering and dough stages of growth. Wheat would be very similar, starting at the boot and extending through to the dough stages. Extreme moisture stress may cause as much as a 25% yield reduction even though the stress conditions exist for only a day or two with some crops. In extremely sensitive water use crops, such as potatoes, a day’s delay may cause even greater yield loss and affect the quality. To further discuss the water plant relationship, you must consider the consumptive use of the growing crop. Consumptive use is the quantity of water required on a daily basis to satisfy the crop needs. Consumptive use is a combined total of evaporation from the soil surface and transportation of water from the plant surfaces. This is the quantity of water which should be replenished to assure an adequate supply of water exists to maintain crop growth. The frequency of irrigation will be dependent upon how much water can be stored in the soil, daily withdrawal and the type of irrigation distribution method. For example: pivot irrigation systems will generally be operated more often than will the flood or the gravity irrigation method. Soils generally will not be able to accept the 4 to 6 inch depth of water applied by flooding, but they can accept the .75 o 1.5 inch application which is usually applied by a pivot. This says that the cycle time between irrigations will be different on sprinkler systems as compared to cycle times for other methods of irrigation. When the soil is at field capacity, the plant will not have to exert much pull power to extract water from the soil profile. If the soil moisture is allowed to diminish then the plant will have to work harder and harder to extract moisture from the soil. A greater pull power has to be exerted to overcome the increasing amount of tension that holds water in the soil at lower moisture levels. It is said by plant physiologists that water constitutes up to 90% of the weight of a fresh, lush growing plant. But only 1% of the total water is actually used in growth processes. The balance of water is used in transpiration which in effect keeps the plant cool. A plant will extract water from the soil profile through root contact with the soil moisture. Plants with a fibrous root system will take most of their moisture from the upper part of the soil profile. The plant will extract up to 70% of its moisture from the top half of the root zone or a breakdown of 40-30-20-10% for each one-fourth of the root zone depth. Factors which affect plant consumptive water requirements are the crop, temperature, humidity, wind velocity, radiation, color of soil and slope.